Dr. Jeff Rogers, Director of Undergraduate Studies (DUS) for Modern and Classical Languages. Students with no prior experience in French begin in FR 101 (or if they are especially motivated, may contact the Director of Introductory French, Dr. Julie Human, for an override to enroll in FR 106, an accelerated, 5-hour equivalent of FR 101 and FR 102 offered every semester). The language sequence is as follows: FR 101, FR 102, FR 201, and FR 202. 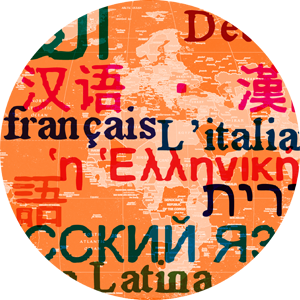 After FR 202, students who wish to continue in French should enroll in FR 204, Introduction to French and Francophone Studies. Students who begin the language sequence in FR 106 should follow that with FR 201. Every spring there are part-of-term accelerated sections of FR 201 and FR 202, both of which are 3-hour courses. FR 201-001 ends in early March, and FR 202-001 begins shortly thereafter. If students begin FR 106 in the fall, and take the two accelerated sections of FR 201 and FR 202 in the spring, it is possible to complete the language requirement (and the prerequisites for FR 204, the first course that counts towards the major or minor) in two semesters rather than four. FR 101, FR 102, FR 201, and FR 202 are also offered every summer.